What Are the Different Credit Score Ranges? What is a Credit Score Range Chart? What’s the Highest Credit Score? What’s the Lowest Credit Score You Can Have? What is a Poor Credit Score Range? What Range is a Fair Credit Score? Why is the Credit Score Range from 300 to 850? 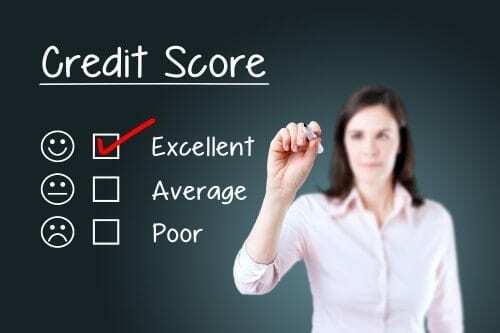 What is Excellent Credit Score Range? What is a Fair Credit Score Range? What is the Range of FICO Credit Scores? What is an Excellent Credit Score Range for Experian? What is a Bad Credit Score Range? What is the Numerical Range of Credit Scores? How to Interpret Credit Score Ranges? What is a Perfect Credit Score Range? What is a High Credit Score Range? What is the Equifax Credit Score Range? What is a Decent Credit Score Range? 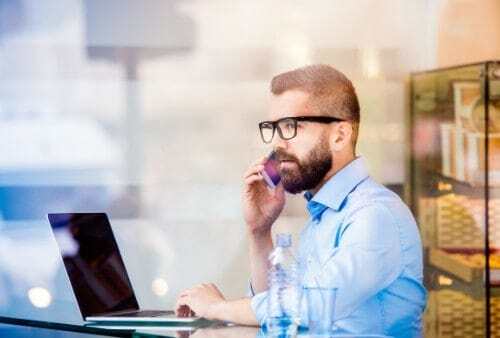 What is Prime Credit Score Range? What is Negative Credit Score Range? Is a 300 Credit Score Bad? Is a 500 Credit Score Bad? Is a Credit Score of 650 Good? Is 670 a Good Credit Score? Is a 690 Credit Score Good? Is a 700 a Good Credit Score? Is a Credit Score of 720 Good? Is a 730 Credit Score Good? Is a 740 Credit Score Good? Is a 750 Credit Score Good? Is 800 a Good Credit Score? Is 810 a Good Credit Score? Is 850 a Good Credit Score? Can You Buy a House with a Credit Score of 650? What Mortgage Rate can I Get with a 700 Credit Score? What Kind of Interest Rate Can You Get with a 700 Credit Score? What is the Credit Score Range to Rent an Apartment? What is the Credit Score Range for FHA Loans? What is the Credit Score Range to Buy a Car? 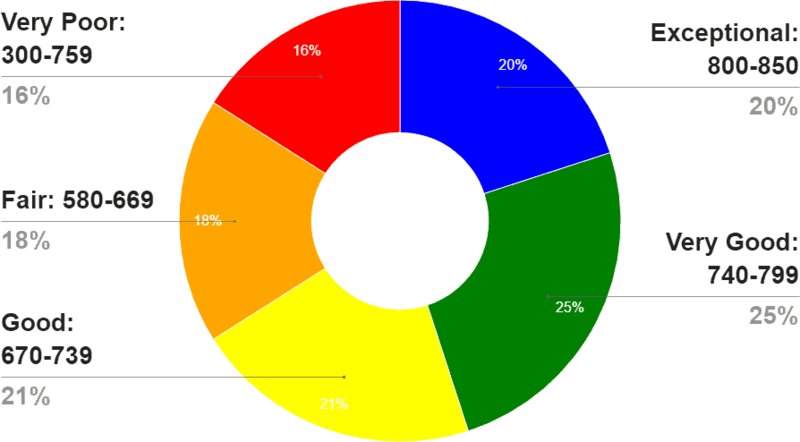 What is the Range of Credit Score for Conventional Financing? How can I Better My Credit Score? Credit scores are extremely important in the modern age. They’re used for everything from approval and interest rates on financial products to home and apartment rentals and job applications. Therefore, it’s no surprise that so many people look to credit monitoring services to keep up with their credit score. 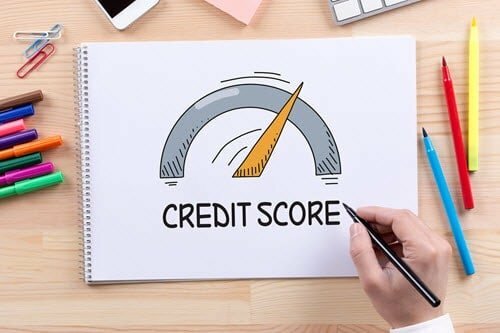 These credit monitoring services tell you your score and they also tell you want kind of credit score range you fall into. These credit score ranges can be somewhat confusing, so we put together this helpful guide to walk you through different aspects of a credit score range. We’ll cover the basics about credit scores. We’ll also go over the different types of credit scoring systems companies use. Then we’ll go through the different credit score ranges and explain what each one means. Finally, we’ve got an FAQ to help answer all the questions you might have about credit score ranges. Use this information to gain a better understanding of your credit score and take control of your financial future! A credit score is a numerical representation of how much of a risk you represent to creditors and lenders. The most common type of credit score system used by lenders and credit scoring agencies is the FICO 8 system. Having a higher credit score means that you’re at a lower risk for default. A lower credit score means that it’s more likely you’ll default. Lenders and creditors use this information to determine whether or not to approve you for financial products. They also use the score to help set the interest rate they offer you. The less of a risk of default you are, the lower your interest rate will be. That’s because lenders and creditors use a risk/reward system for determining interest rates. The greater the risk that you’ll default, the greater the reward the company will want to extend you a loan or line of credit. That means that a lower credit score can wind up costing you tens or even hundreds of thousands of dollars over your life. That’s because small increases in interest rates can rapidly increase the amount of money you’re paying in interest. That’s especially true for large loans and credit lines, like mortgages and major credit cards. There are actually lots of different types of credit scoring systems. Different free credit reporting services will tell you what kind of score they’re reporting. It’s important to check what kind of score the service is showing you. Each score has a different range. Also, each score takes different things into account. FICO 8 is by far the most commonly used credit scoring system. Nearly every major lender and credit issuer looks at your FICO score to determine your credit worthiness. When this article talks about credit scores and credit score ranges we’ll be discussing them in the context of the FICO 8 system. This system produces a score from 300 to 850. The Vantage credit scoring system is very similar to the FICO system. It ranges from 300 to 850. It also looks at the same criteria for your credit score. However, it doesn’t need as much credit history to produce a score for you. It also handles late payments differently. It treats certain types of late payments more severely than others. FICO treats them the same. The vantage model also is different in how it handles hard inquiries and collection accounts. It focuses on hard inquiries in the last 14 days. FICO uses a 45 day span to duplicate your credit checks. That means you have less time to shop around without your Vantage score being impacted. FICO ignores collections balances that are under $100. It also doesn’t count paid off collection accounts. Vantage only ignores paid collection accounts. It still penalizes people for having a collection account under $100. UltraFICO is the next scoring model the company will release. It takes more things into account for borrowers. One of the biggest changes is that it takes checking account balances into consideration. It also looks at things like the number of debit card transactions and overdrafts. If you regularly carry a balance of $400 or more in your account, then you’ll probably have a higher score under UltraFICO. The scoring system is set to be released in 2019. Your payment history includes your record of on-time and late payments. It also includes things like defaults, charge offs, and other information about your consistency and ability to make payments. This is the strongest factor in your credit score. Making on-time payments is the best way to build your credit score over time. The second-most important factor in a credit score is your credit utilization. This is talking specifically about your revolving credit. Revolving credit is the type of credit that you can use, repay, and then use again. Therefore, it includes things like credit cards, store cards, and credit accounts with merchants and companies. Your credit utilization looks at how much credit you have compared to how much credit you’re using. It looks at your total credit limit and compares it to your total balances. Therefore, if you have 2 credit cards with a $5,000 limit, you have $10,000 in revolving credit. If you have $1,000 worth of balance on each card then you’re using 20% of your available credit. Paying off your revolving credit lines is the fastest way to boost your credit score. That’s because it makes up 30% of your score. It’s also something you can do immediately. It’s not possible to add more on-time payments to your record quickly. The length of your credit history looks at the average age of your accounts. The higher the average age of your accounts, the higher your score will be. This influences your score because the longer your credit history is the more information credit reporting agencies have about your payments. Therefore, they can make more accurate predictions about the risk you’ll default or miss payments. New credit focuses on your recent credit inquiries. There are two types of credit inquiries, or credit checks. These are called hard checks and soft checks. Sometimes they’re also called hard pulls and soft pulls. No matter what you call it, it refers to a creditor or lender checking your credit. Hard checks are the only type that count towards your credit score. Credit reporting agencies look at this factor because asking for new credit indicates that you could be having money problems. That means hard credit checks will lower your score. These checks won’t damage your score much though. Additionally, credit reporting agencies know that it’s important to shop around for the best deal. Therefore, multiple inquiries for the same kind of credit product are counted as one check for your score. That means you can apply for a car loan, for example, from 6 different lenders. Each lender will check your credit report. However, the credit reporting agencies will only factor 1 check into your score. That allows you to compare rates so that you get the best deal. Finally, 10% of your credit report is defined by your mix of credit accounts. Reporting agencies want to see that you can handle different kinds of credit and loan products. That means having different kinds of loans and lines of credit will boost your score, so long as you’re making on-time payments. After all, there’s a clear difference between paying a credit card on time and paying a mortgage. Showing that you can handle different types of credit products shows that you’re a lower risk for default. Keep in mind that these score ranges aren’t set in stone. Different lenders and credit reporting agencies may evaluate the ranges slightly differently. For example, some lenders consider anything under 600 to be poor credit. Additionally, some lenders don’t use the idea of exceptional credit score range. What matters most is your specific score. Score ranges are most useful when you’re trying to determine what financial products you could qualify for. People with poor credit will have a hard time getting approved for loans and lines of credit. If they are approved they’re likely to pay a lot more in interest and fees. The good news is that the way credit scoring models work, it’s easier to raise your score if it’s low. Scoring models tend to push everyone’s score towards the middle. That’s why a late payment can cause someone with a 790 score to drop 100 points, but cause someone with a 600 score to lose only a point or two. It also works the other way. Small things to boost your credit score, like making payments on time, will cause a faster increase if your score is lower. It will also cause a smaller increase if your score is in a higher range. People with a fair credit score will likely get approved for loans and lines of credit. However, they won’t be able to access the best deals on these products. They’ll still pay a hefty amount in interest. One good thing is that they’ll also benefit from the way the scoring model works. It’s still fairly easy to boost your score with small steps. Paying down your revolving credit utilization can go a long way towards moving you from a fair score to a good score. People with a good credit score should have no problem getting approved for loans and lines of credit. They’ll get average interest rate offers on these kinds of deals. They’ll also have access to a higher credit limit on revolving credit lines. Individuals with a good credit score are at the upper limit when it comes to ease of boosting their score. They’ll need a consistent record of on-time payments and low credit utilization to cause their score to make large gains. However, they also won’t see huge drops from small credit issues. Individuals with excellent credit will have no problem getting approved for credit and loan products. They’ll be able to access extremely good interest rates on these products. That means they’ll pay less for loans and credit than most other people will. One thing to keep in mind is that it’s easier to cause your score to go down than to go up at this range. Missing a payment can cause a significant drop in your score. Pushing your score up to the next credit score range will take a decent amount of time. It isn’t something that you can do overnight. People with exceptional credit will get approved for almost any loan or line of credit they apply for. They’ll get access to the best interest rates on the market. Many of them may even get loans or credit at the Prime Market rate, which is the rate that banks lend money to each other at. These consumers won’t be able to push their score up quickly at all. The closer you get to a perfect score, the longer it takes to keep improving. Also, harmful entries on their credit report will have much larger consequences than they will for people in the lower credit score ranges. Like anything with credit or finances, people have lots of questions about credit score ranges. This section will answer your credit score range questions. Use this information to get a better understanding of how credit ranges work. 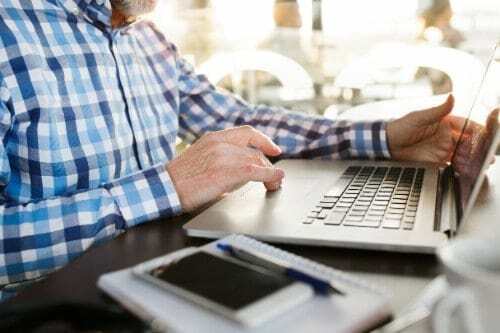 You can also use this section to find out if specific scores are considered good or bad, and what score you need to get specific financial products like mortgages and home loans. Credit score ranges can be tricky to understand. This section will give you a good foundation to understand different credit score ranges so that you can move on to more advanced concepts. Use this information to get a better understanding of how credit score ranges work so you can know what financial products you should be considering to meet your needs. Under the FICO 8 system, credit scores range from 300 to 850. There are also different ranges within that which are considered poor, fair, good excellent, and exceptional. Understanding the different score ranges can help you determine what kind of financial products you can qualify for. Not under the FICO 8 system. Vantage 2.0 went up to 900, however, the latest Vantage system moved down to an 850 maximum to make it easier for people to understand their score. A credit score range chart allows people to easily see where their score falls in relationship to the other types of scores. You can see if you’re on the border of one score range or if you’re solidly in the middle. As a result, you’ll have a better understanding of where your credit stands. The highest credit score in both the FICO 8 and the Vantage 3.0 systems is 850. It’s extremely difficult to get that kind of score. The closer you get to perfect, the harder and longer it takes to improve. Under both the FICO and Vantage systems the lowest possible credit score is 300. This credit score is usually only assigned in extreme cases. Most people will have a score higher than this simply because of the length of their credit history. Most lenders and credit reporting agencies consider a score from 300 to 579 to be in the poor credit score range. Lenders and credit reporting agencies usually consider fair credit to be a score from 580 to 669. However, different lenders and agencies might move this range up or down a bit. The score ranges from 300 to 850 as a holdover from when credit reports were stored physically and not digitally. This range allowed companies to sequence and sort credit score ranges in a way that made them easily accessible while leaving room for other types of information. Depending on where you live, the average score will be different. The US average is 687. However, scores in the southern states are lower on average than scores elsewhere in the country. An excellent credit score range is usually considered to be a score from 740 to 799 for most lenders and reporting agencies. Some lenders and reporting agencies might go all the way up to 850 if they don’t consider exceptional credit to be its own category. A fair credit score range is a score that falls within 580 and 669. Some creditors and lenders move the score up to 600, while others also lower it to 640. There’s no set definition for this range. 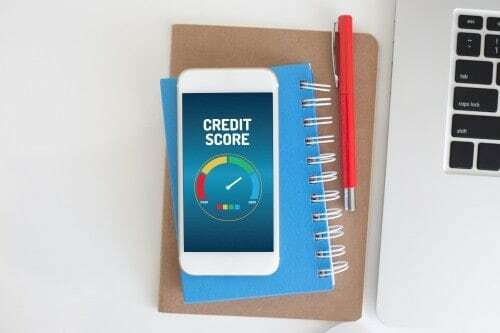 FICO credit scores range from 300 to 850, with lower scores representing a higher risk of default or negative credit event and a higher score representing a lower risk of a negative credit event. Experian considers a score from 740 to 799 to be an excellent credit score. Scores greater than 799 are considered to be exceptional. Most companies don’t use bad to describe score ranges. However, any score in the poor range, and some of the lower scores in the fair range might be considered bad credit. Credit scores have a 550-point numerical range. The scores themselves go from 300 to 850, with a higher score representing higher credit. You can interpret credit score ranges a few different ways. Most people interpret them as indicators of what kinds of financial products you can qualify for. You can also interpret them to understand if its worth taking steps to improve your score. A perfect credit score is 850. Most companies don’t have a perfect credit score range. For example, Experian considers a score from 800 to 850 to fall into the exceptional range. Most companies don’t use high as a description for their score ranges. Generally, you could consider anything that is excellent or better as a high credit score. That means a score that is 740 or greater. Equifax uses both the Vantage 3.0 and FICO models. That means their score ranges run from 300 to 850. They don’t determine what score is considered good or bad. Specific lenders are more concerned with the score itself than its label. A decent score range would be something in between the fair and good ranges. That means a score from 630 to a score of 680 would probably be considered decent. You’ll get approved for most loans and lines of credit but won’t get the best interest rates. The Prime Credit score range would fall within the exceptional range. That means people with a credit score of 850 to 800 will probably get Prime rates when they apply for loans and credit products. There’s no such thing as a negative credit score range. Different events can cause your credit to drop. How much certain events cause your score to go down depends on several complex factors. Many people wonder if their credit score is good or bad. We’ll answer your questions about specific credit score and what they mean in this section. Yes, a 300 is the lowest possible credit score you can have. The good news is that it’s very easy to quickly improve your credit score from this level. Yes, a 500 credit score is solidly within the poor range. However, you will be able to improve your score quickly by taking a few simple steps. A 600 credit score is in the lower end of the fair credit score range. You’ll still get approved for loans and credit offers but will pay a high rate. You should be able to improve your score fairly rapidly though. A 650 credit score is considered fair. It’s close to the good credit score range, and it’s possible to get your score where it needs to be in a short period of time. Yes, but just barely. 670 sits on the very edge of the good credit score range. It’s almost fair, but you’ll still get better offers than people with a slightly lower score when you look for loans and lines of credit. Yes, a 690 score is solidly in the good range. You should get approved for most loans and credit products and you’ll also get pretty good interest rates on these sorts of offers. Yes, a 700 credit score is in the middle of the good credit score range. Lenders will approve you for most loans and lines of credit. You won’t be getting Prime rates, but you’ll still get very good interest rates. Yes, a 720 credit score is near the top end of the good credit score range. You’ll be approved for nearly any loan or line of credit you’re looking for and get great rates on those products. Yes, a 730 credit score is at the top end of the good credit score range. Expect quick approval for loans and lines of credit. You’ll also be offered preferential rates on these products. A 740 credit score is even better than good. It’s at the bottom end of the excellent credit range. That means almost any loan or credit product is an option for you. It also means the interest rates you’ll get will be some of the best on the market. Even better, a 750 credit score is in the excellent credit range. You should be able to get practically any loan or credit product offered and you’ll receive close to the best rates around. Yes, 800 is a very good credit score. It falls into the exceptional credit score range. That means you’ll have your choice of loan and credit products. You’ll get rates that are close to the Prime market rate with this score. 810 is an exceptionally good credit score. You can get approved for pretty much any loan or credit line you’d like. You can also expect to get great interest rates, if not the Prime market rate for your credit products. 850 is the highest possible credit score, which means it’s very good. You’ll get Prime market rates on loans and credit offers. You’ll also get approval for pretty much any loan or credit line you apply for. Lots of people become interested in their credit scores when they’re considering making a large purchase, like a house or car. This section answers your questions about what credit score you need to make certain types of purchases and get certain types of financial products. Yes, you should be able to get approval for a conventional mortgage. You can also get approved for an FHA-backed mortgage with a 3% down payment if this is your first time buying a house. Every lender has different qualifications for mortgages. However, the easiest mortgage to qualify for is an FHA backed mortgage. You’ll need a credit score of at least 500 and a 10% down payment to qualify for this mortgage. You can get an FHA mortgage with a credit score of 500 if you have 10% down payment. You can get one with a 3% down payment with a 580 credit score. Beyond that, every lender has their own qualifications. However, the better your score the better the deal you’ll be offered. You can get a mortgage from pretty much any lender with a 700 credit score. It falls solidly within the good range and is close to excellent. Your specific rates will depend on several complex factors like your down payment and where you live. You’ll get a good interest rate with a 700 credit score. The exact interest rate you get will depend on lots of different things. These include your down payment, where you live, and other aspects of the loan deal. That depends on where you live and what kind of apartment you’re looking for. Most landlords will accept a credit score of at least 600. However, you can ask the rental office or landlord before you apply to understand their specific qualifications. You can get an FHA loan with a credit score of 500 if you have a 10% down payment to put towards the house. You can get an FHA loan with a 3% down payment if your credit score is at least 580. There’s no set credit score range to buy a car. The better your score, the better the interest rates you’ll be offered. Also, different lenders have different qualifications for lending. You’ll need to check with different lenders to see about your specific situation. For most lenders, the minimum credit score for a conventional mortgage is 620. Each lender determines their own qualifications and lots of other factors play a role. You should talk to the different lenders you’re considering for more information. Many people want to know how to increase their credit scores so that they can get into a better credit score range. This section answers your questions about boosting your credit score. The fastest way to better your credit score is to lower the amount of revolving credit you’re using. That means paying down credit card bills. Also, a history of on-time payments and a good mix of credit will boost your score. Paying down your credit cards to lower the amount of revolving credit you’re using is the best way to quickly raise your credit score. This makes up 30% of your score and is something you can do right away. The best way to raise your credit score in 30 days is to pay down as much of your revolving credit utilization as possible. Other actions will take longer to show an impact on your score. Credit scores are complex and have lots of different factors. It depends on what your score is and what your credit history has on it to give you that score. Talk to a credit repair company or a credit counselor for more information about your situation. Find out how to build credit fast by reading other articles on our site.